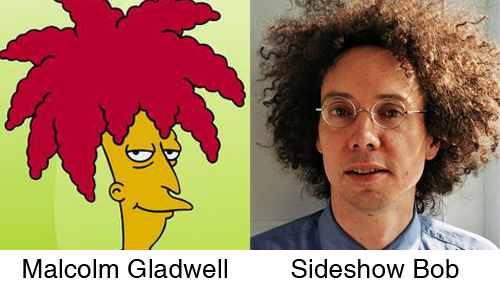 Is it me or is Malcolm Gladwell increasingly looking like Sideshow Bob from The Simpsons? This woman became an icon overnight thanks to YouTube. Despite the US continuously looking for beautiful women to front their TV programmes, they continuously fail, because their definition of beauty is so incredibly narrow. This gives hope and potential to women in other countries. This one is French and they have successfully manage to create an instant success out of a newsreader. Info: The music in the video is Enya – Skin 2 skin. Update: As someone pointed out: this video has stalker written all over it. This video, done for comic relief in the UK, shows why Tony Blair is, without a doubt, the most impressive politician of my life time.